The glad and gentle Eetu was our first male. He was good-natured and always willing to please. He was friendly to other dogs and people and all those who met him loved him. As an eager dog Eetu enjoyed all kinds of activities and liked working. Training with him was nice and easy. Eetu was successful in many different hobbies gaining nice results and many champion titles. We were so happy and proud of our lovely boy. Eetu had a good and happy life. 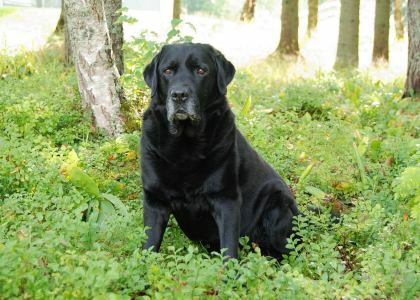 When osteoarthritis in his elbow could not be treated anymore, we said farewell to our old grey-nosed gentleman. Eetu lives in our hearts and he will always be with us.